One of the oldest underground spring wells of the region lies at the foot of the hill below the village. 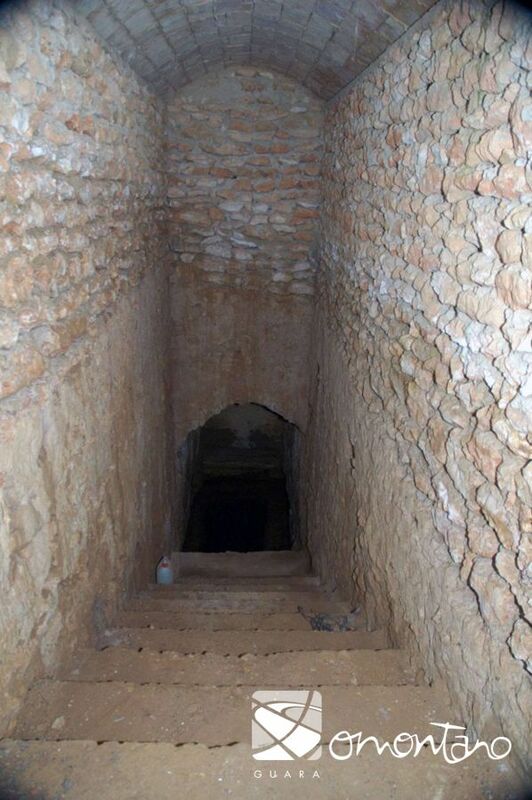 It is a monumental construction made up of a deep staircase, the lower part of which is covered with a vaulted ceiling, and a large underground chamber where water that filtered up from the rocky subsoil was held. On the walls a number of symbols can be seen that were carved to protect the spring, as well as dates associated with the successive renovations made necessary due to constant use. The impressive well sunk into the depths of this slope could have been the very origin of the village’s name; the Latin lacuna rupta means rounded cave. 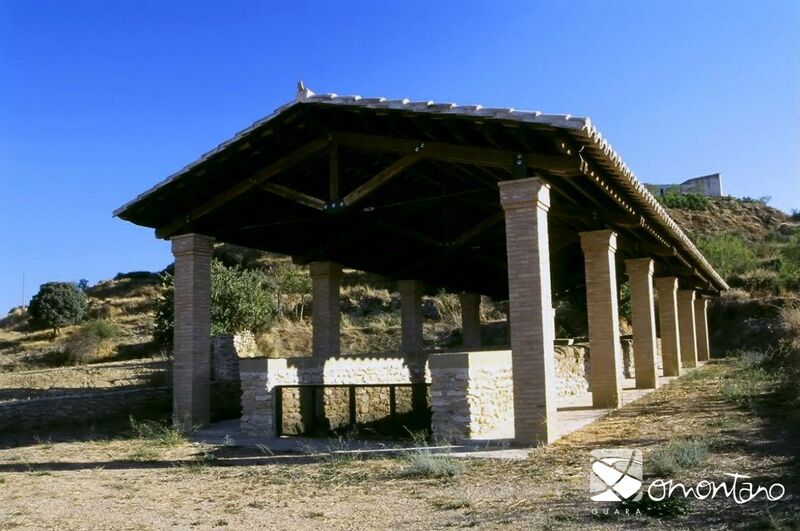 The early documented evidence of Lagunarrota in the Visigothic era (551) is evidence of the antiquity of the settlement, whose importance was maintained through the medieval centuries. During this era (from 1284) the castle and village of Lagunarrota where the only places in Aragon to be under the rule of the knights of the Order of Calatrava. In addition to Pozo Bajo (“low well” referring to this site at the bottom of the hill) the village had another well with similar characteristics, know as the Pozo del Pinar. The chamber that held the water was fed by rain water that filtered through permeable layers of gravel and sandstone. It was called Pozo del Pinar due to the high number of pine trees that stood in the region at that time, an example of which is the Foncillas pine that stands near the main road. The pleasant environment around this well turned it into a popular meeting point for the young people of the village. 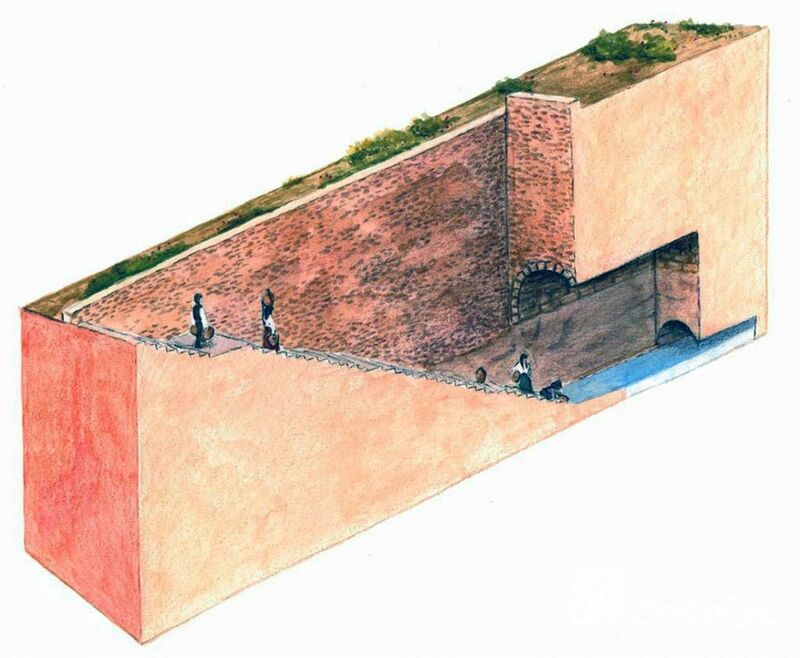 Although the Pozo Bajo was larger and much more spectacular, the smaller well was used more as the water was better. However, it didn’t flow as well as the water in the larger well and so during the drought of 1948 the collection of water had to be controlled by a distinguished member of the village, Severo Almunia. Although blind he had the responsibility of charging 10 cents for every 4 pitchers of water removed. The water was extracted using a waterwheel whose buckets were controlled by a crank.